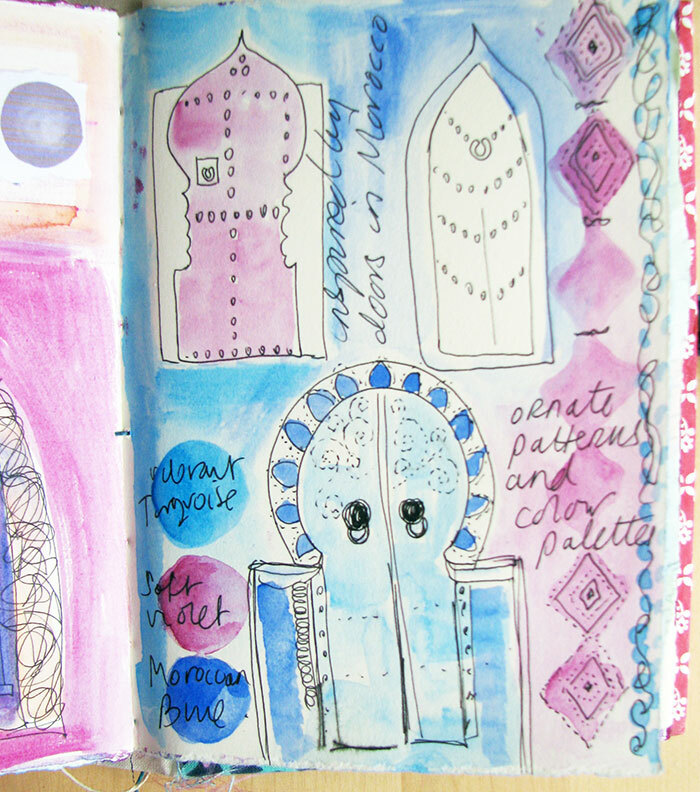 As promised in my Colour Stories post yesterday all about blue doors, here is a little sneak peek into a couple of my pages from my Morocco Journal. 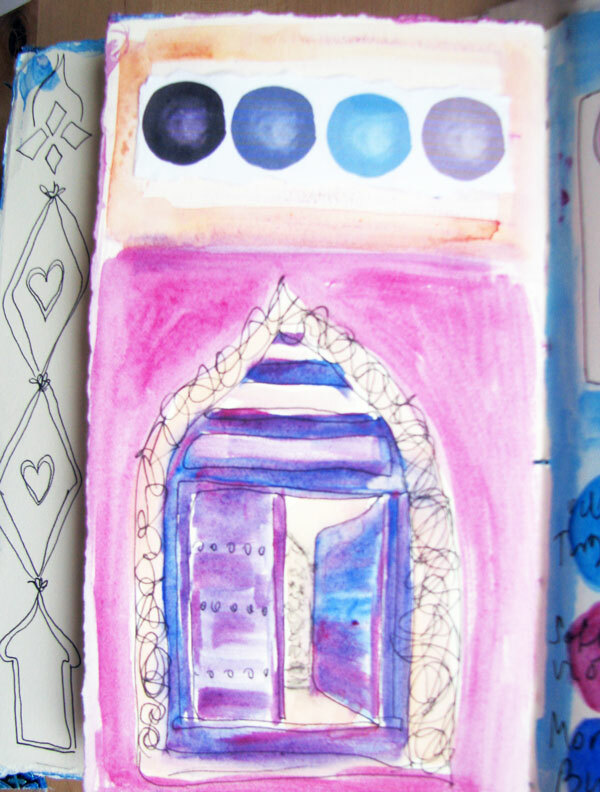 I loved taking inspiration from the door photos from my trip and doing a few sketches in here to capture some of the gorgeous shapes and designs. 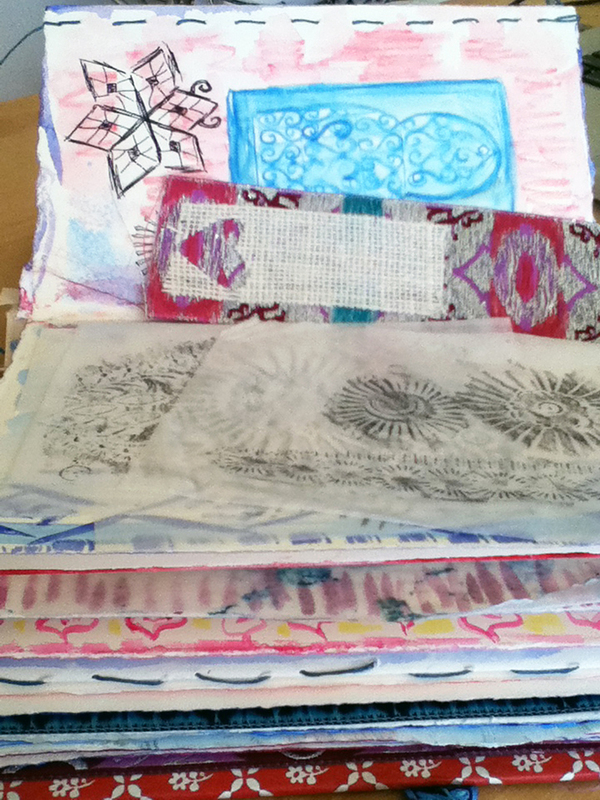 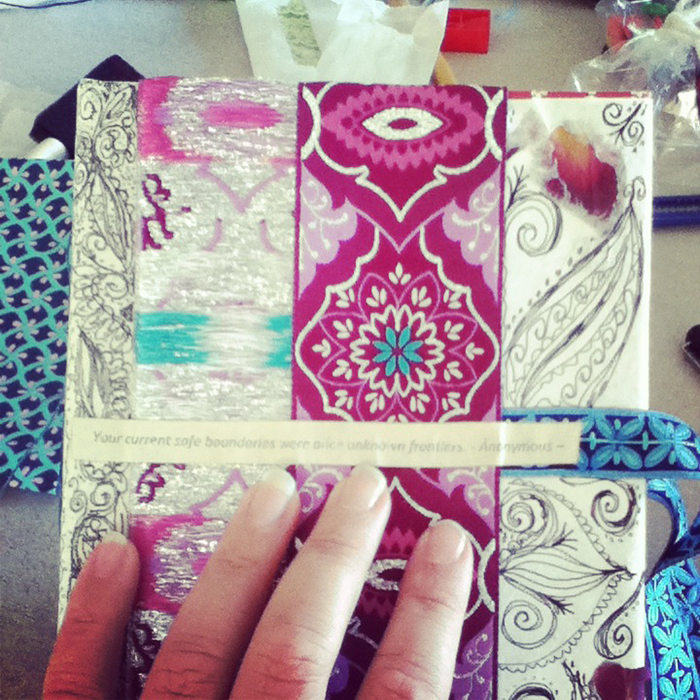 I gathered lots of rubbings and other bits in the journal whilst away so now am excited to continue adding from all the inspiration. 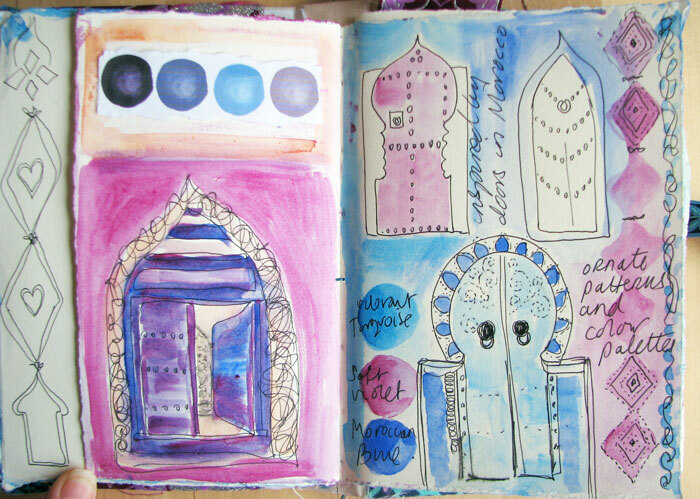 I plan to explore this subject more – so much inspiration in just blue doors!